As you may know, I rely on an awesome panel of feline and canine testers. This past week I’ve had the pleasure of working with Rookie. Because I was pet sitting I was able to really watch his food consumption, behavior and energy as if he was my own. Rookie is an 8 year old kitty who about a year ago was experiencing frequent but strained attempts to urinate. His Mommy told me the Vet explained these were some of the first signs of a urinary condition. You can imagine I’ve been interested in the prescription and Rookie’s progress ever since. 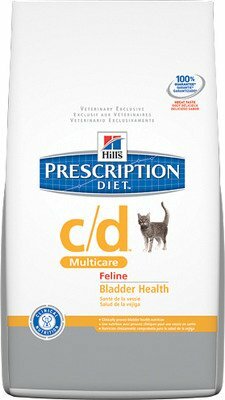 What the Vet prescribed was a slight change in diet that included Hill’s Prescription Diet c/d Feline Muliticare in a can. Rookie gets 1 can a day. Half a can in the morning and another half can in the evening. At first I thought that 1 can was not going to be enough food. My Stinky eats nearly a bowl a day of a dry and wet combo. But after watching Rookie, I do notice although he lets me know he’s hungry, 1 can a day does suffice. As for his health, let me tell you, he is one fit kitty. He is not overweight and has tremendous energy. Certainly he is alert and full of expressions. His coat is soft and luxurious. Lastly, I saw no signs of relief outside the box. My recommendation; Hill’s Prescription Diet c/d mulitcare is an excellent product. Knowing that it is prescribed by a vet gives me confidence in saying so. Ask if your vet is a partner with Hill’s Prescription Diet and if so, if they carry products for sale. Otherwise, you can certainly find them online at Wag.com.